Did you receive an alert or email notification that MDC DOT could not access one of your social media accounts? You just need to reconnect your social media account. But before you do this, make sure that you are either not logged in on the social media website or, if you are logged in, that you are logged into the correct account. For example, if you want to reconnect your Twitter account, @billy, go to twitter.com. Are you logged in? If you are not logged in, or if you are already logged into @billy, then you can go onto “How to reconnect your account”. If you are logged into an account that is not @billy, please sign out and log into the correct account. Then go onto “How to reconnect your account”. 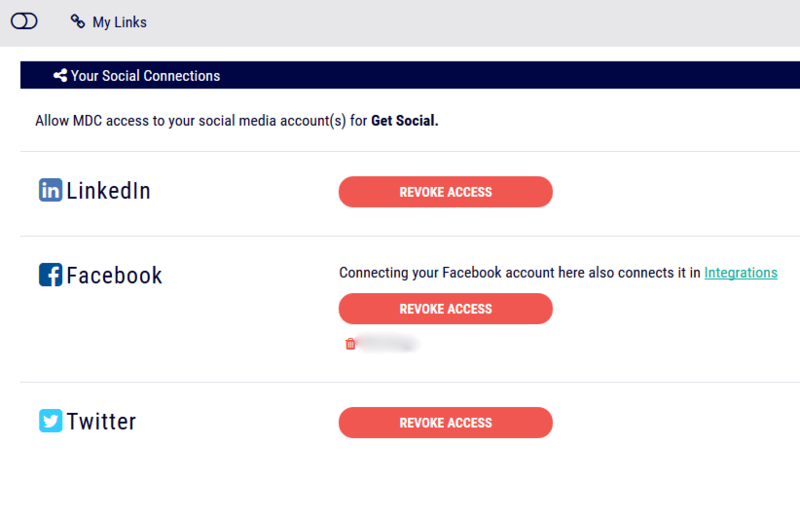 If you are trying to reconnect a Facebook account, you can also do that through Integrations. Open a private/incognito window in your internet browser. After you’re done, you can just close the private/incognito window. If you still have Social Settings or Integrations open in a regular browser window, refresh the page to see that your account is reconnected.